When I first heard the name Natalie Cole, my first thought was, “Is that Nat King Cole’s daughter?” Of course it was. It conjured up memories from my own childhood and listening to Nat King Cole. They were eventually enhanced by a miracle of technology: a duet by Natalie and her long-deceased father of the timeless classic, “Unforgettable”. Sadly, a year and a half ago Natalie joined her dad in the hereafter, passing away at the age of 65, but not before leading a significant life of her own. She mounted a comeback in the 1980s, and that’s when I first heard of her. It was late summer or early fall in 1987, so I was listening to less music on the radio then because I had left home to go to university. In 1987, she released the album “Everlasting”, and that’s when I started hearing songs by this Natalie Cole. She actually kind of sounded, to me, like Whitney Houston and Patti LaBelle. The first two singles were “Jump Start (My Heart)” and “I Live for Your Love”, which was a great ballad. They both peaked at number 13 on the Billboard Hot 100. Then came the big breakthrough, or I guess comeback. 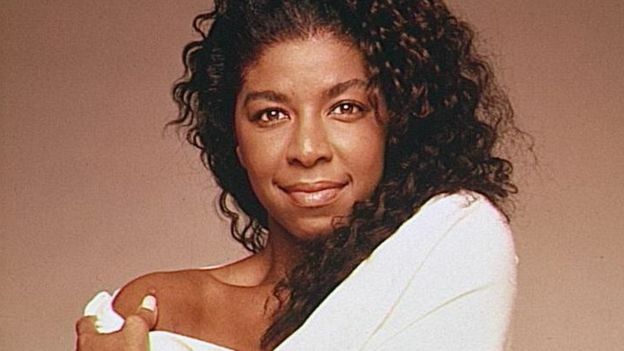 Natalie Cole did a cover of Bruce Springsteen’s “Pink Cadillac”. It was all over the radio when I came home after my first year of university, and went all the way to number five on the Billboard Hot 100 on May 7, 1988. She followed that up with her next album, “Good to be Back”, which yielded another great ballad, “Miss You Like Crazy”, which went all the way to number seven in July of 1989. Her work in the 1980s, set the stage for the biggest successes of her career. In 1991, Natalie Cole did something she had been reluctant to do – sing her father’s songs. That changed, as she released an album full of them entitled, “Unforgettable…with Love”. According to Wikipedia, it sold seven million copies in the United States alone and won several Grammys, including Album of the Year, Record of the Year, and Best Pop Collaboration with Vocals. The best part for me, was that interactive duet of “Unforgettable” Natalie Cole sang alongside her late father Nat King Cole. She died of Dec. 31, 2015 of congestive heart failure, at age 65. When I was a kid, my dad and I would go to church while my mom would stay home and make dinner. Often, when we got home, Mom had Nat King Cole on in the background. I loved that deep voice, especially listening to “Unforgettable” and “When I Fall in Love”. At first, Natalie Cole was just another voice on the radio in the same category as the likes of Whitney Houston and Patti LaBelle. Although, it was in the 1990s, that all changed with the release of “Unforgettable…with Love” and the connection to her father’s music. It was deep and soulful. The songs were moving and stirring. That was all possible because Natalie Cole had used the 1980s to get back on her feet and mount a comeback. In the end, it was truly unforgettable.